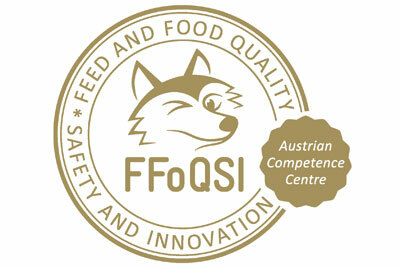 The Austrian Center for Feed and Food Quality, Safety and Innovation (FFOQSI), founded in 2017, aims for integrated food chain research from field to product. The mission is to secure the feed and food value chain by using innovative technologies such as advanced health monitoring systems, microbiome sequencing, multitoxin detection and state of art spectral analysis to tackle challenges in real food production scenarios. To reach that goal, leading scientific institutions being experts in the area of plant technology, feed hygiene, plant and animal health, microbiology and food technology interact with national and international company partners. At current, 17 research groups from 6 research institution collaborate with 36 mostly small and medium size food business operations on advancement of quality and safety-related issues.